This entry was posted in facts and figures and tagged MINI Countryman MINI Coupé press sales on March 14, 2013 by James Day. We already posted worldwide MINI sales for December 2012 which included the full year 2012 sales. But MINI just released some more figures, including specific figures for the MINI Countryman and MINI Coupé and percentages by trim level. Note that the MINI Coupé sales comparison is for a full year 2012 versus just three months of 2011 (October through December). The MINI brand surpassed the sales volume threshold of 300,000 units for the first time in a single year with the number of cars sold up by 5.8% to 301,526 units (2011: 285,060 units). The MINI Countryman put in an extremely strong performance and recorded a 14.9% increase to 102,271 units (2011: 89,036 units). Sales of the MINI Coupé rose to 11,311 units (2011: 3,799 units), almost tripling the volume recorded one year earlier. In terms of model mix, 44.5% of customers opted for the MINI Cooper, 35.7% for the MINI Cooper S and 19.8% for the MINI One. Read the entire press release BMW Group continues on successful course in 2012. This entry was posted in news and tagged AC Schnitzer MINI Coupé motorsport on June 15, 2012 by James Day. With the sensational time of 1:10.87 mins, the new concept vehicle “AC Schnitzer RAPTOR” (based on the MINI John Cooper Works Coupé) completed the Hockenheimring lap and put the competition in its place in a direct comparison. One basis of evaluation in vehicle tests, time and time again, is lap times on the world famous Grand Prix circuit in Hockenheim. The 300 HP/221 kW powerful AC Schnitzer RAPTOR has catapulted itself into the premier league of real sports cars with its lap time of 1:10.87 mins. Once again in 2012, the “Tuner Grand Prix” hosted by “sport auto” magazine on the Hockenheimring played a major role in AC Schnitzer’s schedule. 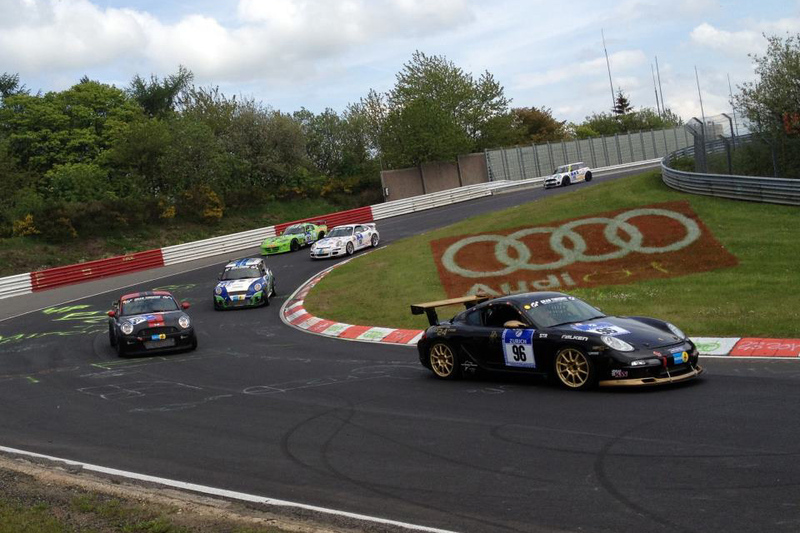 The time had finally arrived on the Pentecost weekend: 25 tuners battled for the best lap times in 16 classes. Not only the competition paid respect to the “little Aachener”: the “sport auto” editorial team gave the RAPTOR an individual test there and then and was able to improve the lap time by another 0.32 seconds to a fabulous time of 1:10.87. So what does a lap time of 1:10.87 mean? It means that the AC Schnitzer RAPTOR MINI JCW Coupé posted a faster time than some very expensive and fast exotics and sports cars. See the amazing list of cars beaten by the RAPTOR. AC Schnitzer RAPTOR (on sports tyres) 1:10.87 min. Mercedes SLS AMG 1:10.8 min. Lamborghini Gallardo Superleggera 1:10.9 min. Porsche 911 Turbo S 1:10.9 min. Ferrari 599 GTB Fiorano (on sports tyres) 1:12.0 min. BMW M3 GTS (on sports tyres) 1:12.5 min. Porsche 911 GTS 1:12.9 min. Ferrari Challenge Stradale (on sports tyres) 1:13.0 min. BMW 1 series M Coupé 1:14.1 min. Porsche 911 Carrera S 1:14.3 min. Ferrari 575 Maranello 1:14.7 min. See more photos and read more about the RAPTOR in the SPORTcars article And again the fastest MINI comes from Aachen [Google translation from the original German version]. This entry was posted in news and tagged Fireball Tim MINI Coupé video on June 12, 2012 by James Day. Season 2, Episode 4 of Ride Along with Fireball Tim finds the wacky car designer dreaming of curves in a 2012 MINI John Cooper Works Coupe. Find more episodes at fireballtim.com. 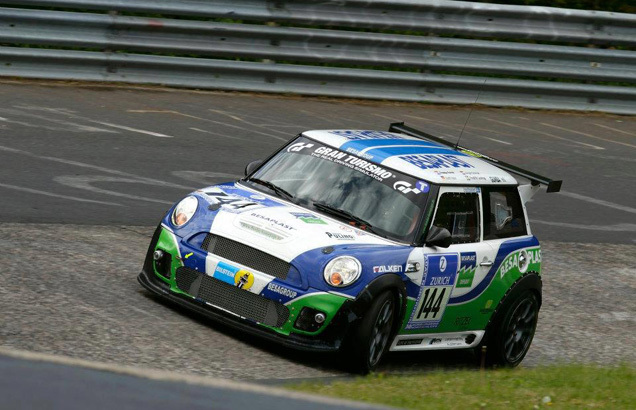 This entry was posted in news and tagged MINI Coupé MINI JCW motorsport photos on May 21, 2012 by James Day. The 40th running of the 24-Hours Nürburgring wasn’t a big success for MINI with just one team making it to the finish line. 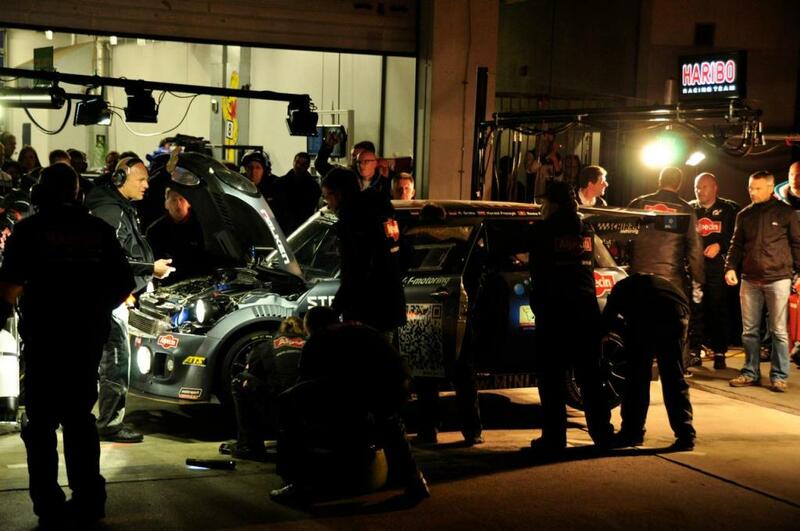 From all the MINI teams in the 24-Hours Nürburgring, only the MINI John Cooper Works CHALLENGE No. 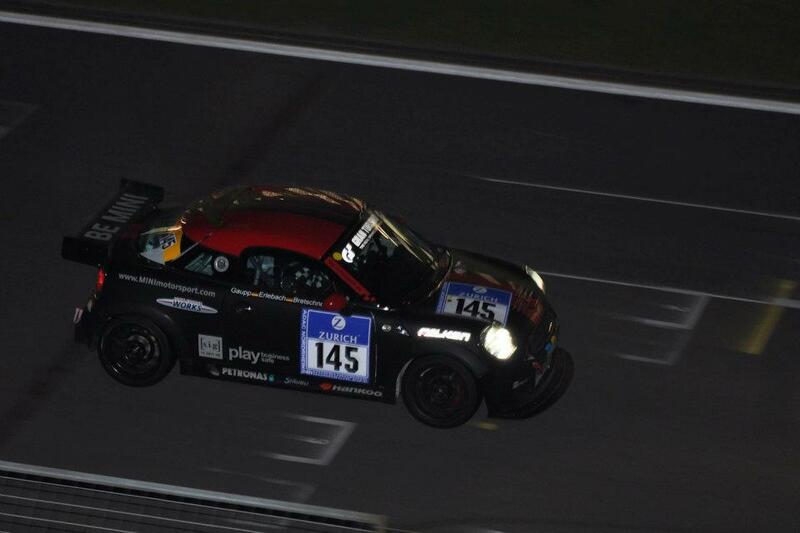 143 of Team Partl Motorsport was still racing at the end, finishing 2nd in the SP 2T class and 41st place overall. All of the other MINIs retired due to accident (s.i.g. Motorsport MINI No. 146) or mechanical issues. 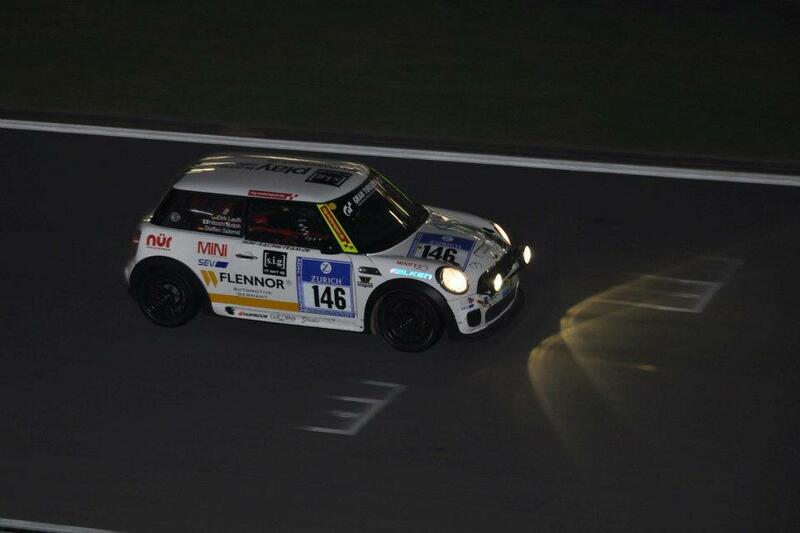 Read the MINI Motorsport article Through the Green Hell with a glowing turbo. 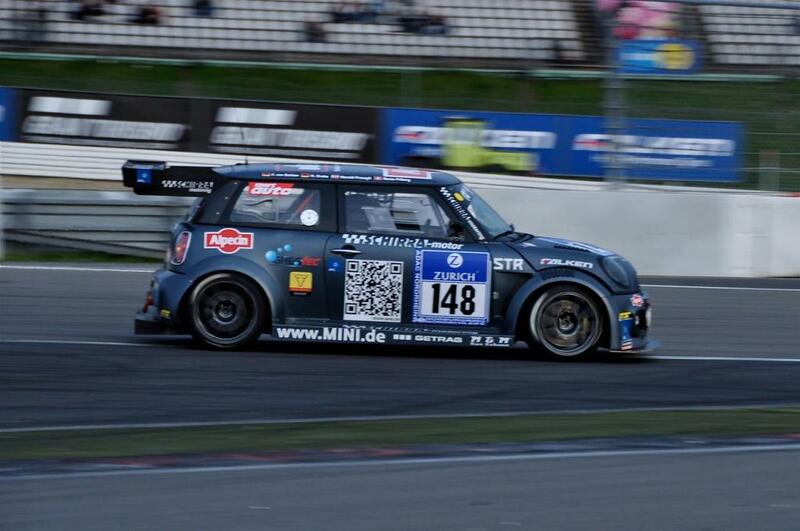 MINI Deutschland Facebook album MINI beim 24h-Rennen auf dem Nürburgring. 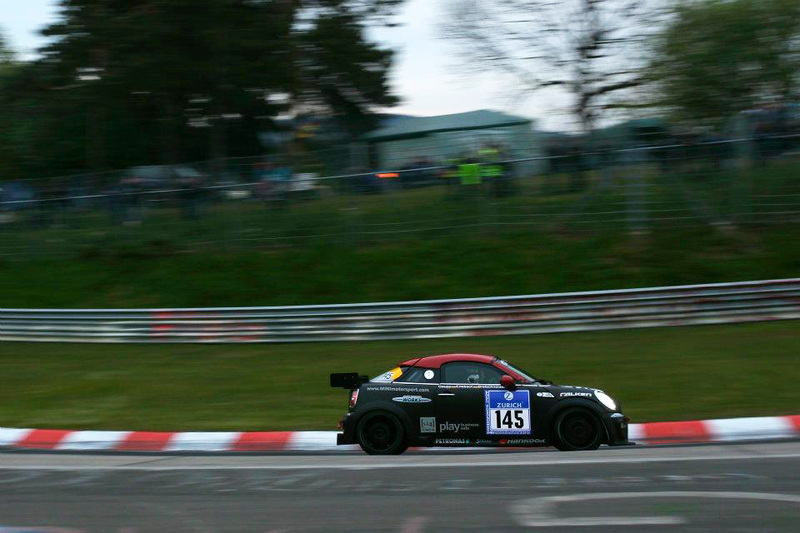 MINI Motorsport Facebook album Nürburgring 24 Hours 2012. 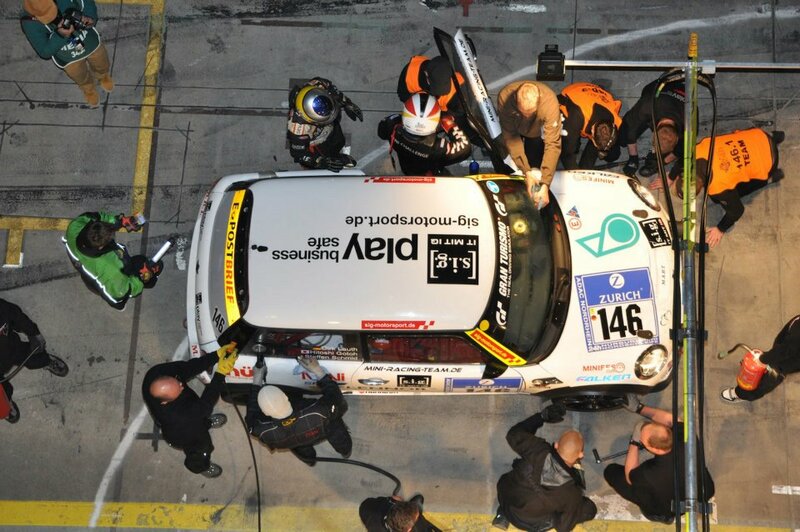 Schirra Motoring Facebook album 24h Nürburgring 2012.
s.i.g. Motorsport Facebook albums Startaufstellung, Nachtaction, and Streckenfotos. s.i.g. Motorsport Facebook albums Impressionen, Impressionen 2, and Impressionen (Nacht). 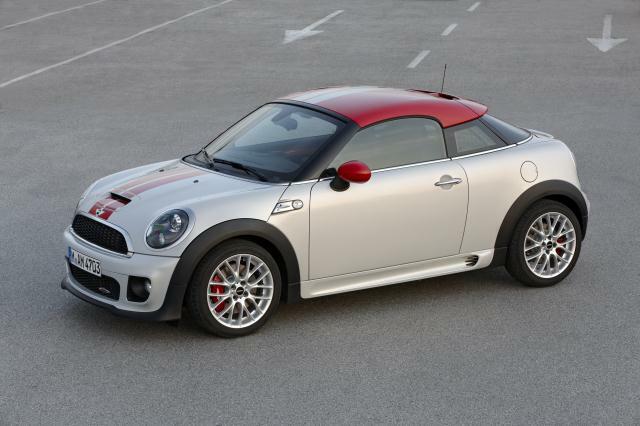 This entry was posted in news and tagged MINI Coupé MINI JCW motorsport on May 18, 2012 by James Day. 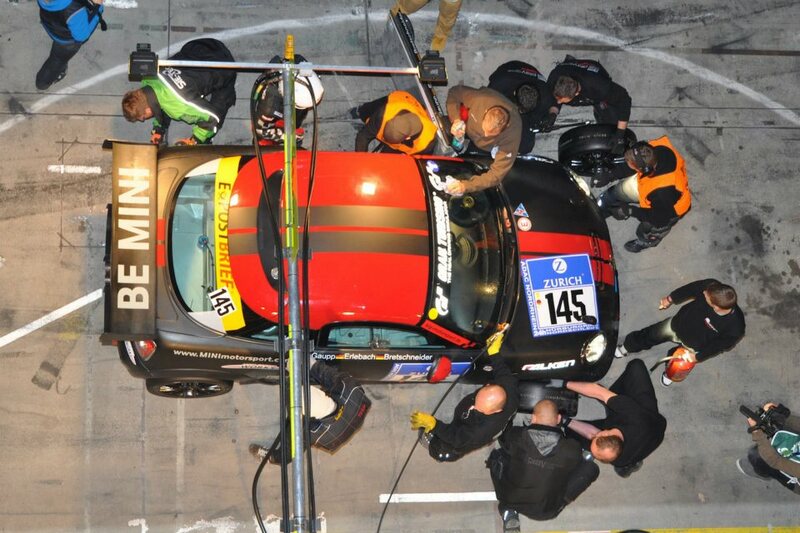 Last year, MINI Motorsport introduced the MINI Coupe by entering a race-prepared version in the 24-Hours Nürburgring. 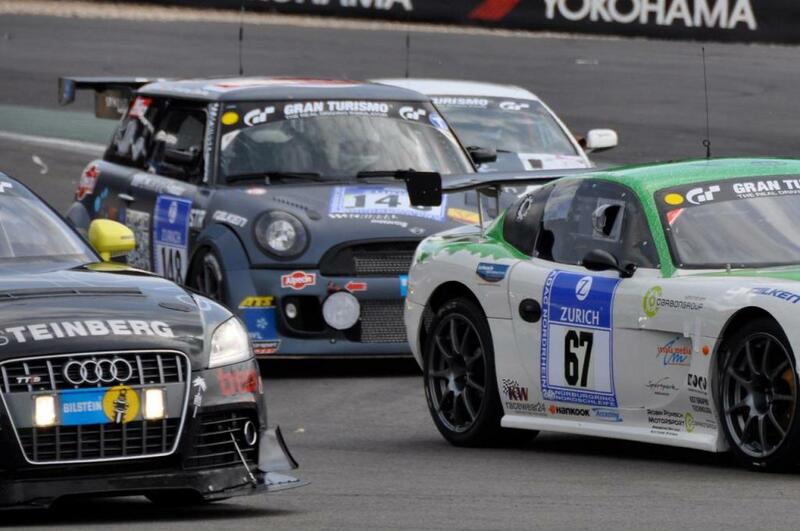 Both MINI John Cooper Works Coupé Endurance entries completed the race. This year, MINI Motorsport is not entering any factory-sponsored teams. 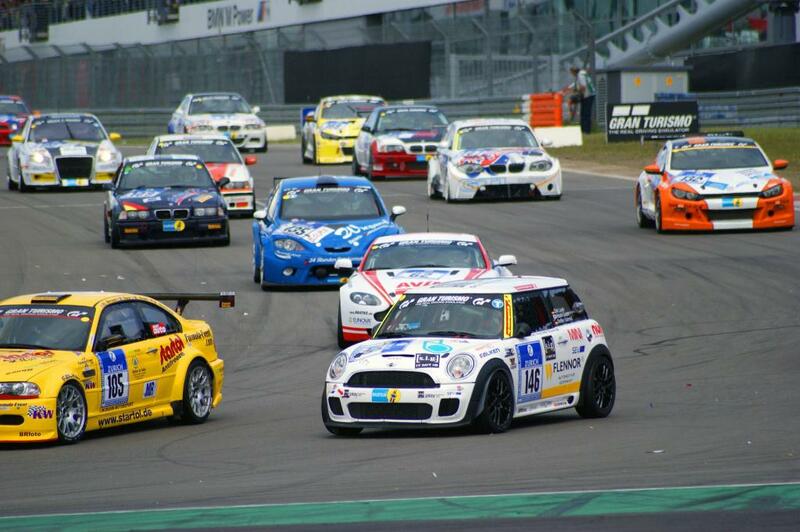 However, four private teams are entering a total of five MINIs in the race running from May 19th to the 20th. See the 24-Hours Nürburgring Starting List 2012. This entry was posted in ads collectibles and tagged MINI Coupé MINI Roadster on May 14, 2012 by James Day. SPEED METAL. / HAIR METAL. / GARAGE BAND. The MINI John Cooper Works Coupe and new MINI John Cooper Works Roadster. Separated at birth by a convertible top. Both with two seats and rock star appeal. Both with a six-speed, 208 horsepower, turbocharged engine. Both with a rear spoiler that automatically lifts at 50 MPH for better downforce, so you’ll never be late to another gig. THE MINI COUPE AND THE NEW MINI ROADSTER. HOLD ON. The current issue of SPIN magazine contains a three-part print ad for the MINI Coupe and MINI Roadster. Page 45 shows a MINI JCW Coupe with only the heading “SPEED METAL.” followed by page 47 with a MINI JCW Roadster with the heading “HAIR METAL.”. The third part comes on page 75 with both MINIs and the title “GARAGE BAND.” below. SPIN is now a large-format magazine on thicker, non-glossy paper, so the ads are almost like mini posters measuring 9.5″ wide by 12″ tall. These ads can be found in the May/June 2012 issue of SPIN. This entry was posted in news and tagged awards MINI Countryman MINI Coupé MINI One on May 10, 2012 by James Day. Three MINI models have won the “Residual Value Champions” award: the MINI Cooper Coupe, MINI Cooper S Countryman ALL4, and the MINI One. The awards are given to the vehicles expected to retain the highest percentage of initial value after four years. Munich. Driving pleasure, premium quality, efficiency and distinctive design are enduringly sought-after attributes, and they have helped four models in the current BMW Group range to secure a class win in the latest list of the “Residual Value Champions”. Published by the online version of Focus magazine, the rankings for the highest value retention models in the German car market see the MINI One, MINI Cooper Coupé, MINI Cooper S Countryman ALL4 and BMW X3 xDrive20d each taking the top slot in their segment. In the eyes of market observers, value depreciation for these models is expected to be particularly low, making them the best investment compared to their class rivals. The rankings for the “Residual Value Champions” are based on predictions generated by the Saarbrücken market research institute Bähr & Fess Forecasts on the value curve of new models in 14 vehicle classes. To this end, the car market experts estimated the resale value after four years of a vehicle registered in 2012. The assessment proved particularly favourable in the case of the MINI Cooper Coupé. Freshly launched onto the market, this two-seater claimed a clear lead ahead of its class competitors not only in the percentage calculation but also in terms of absolute figures. In assessing the potential value depreciation of a vehicle, the market observers take a wide range of data into account, including the purchase price, vehicle properties, brand image, and results in comparative tests and customer surveys. Beyond this, superseding facts such as the quality of competitors in the segment and general market developments are included in the evaluation. Most recently, a car’s efficiency has also had a significant bearing on value retention. With their outstandingly low fuel consumption and emissions figures, BMW and MINI premium models are consistently building up credit that also has a positive impact in the resale value rankings. The assessment of value retention is an important criterion for potential customers when it comes to choosing a car. After all, depreciation is a crucial cost factor the extent of which often only becomes clear when a vehicle is sold on. Models that are in demand in the used car market as well therefore have a better chance of making it into the ranks of the residual value leaders. The MINI Cooper Coupé is a good example, its resale value after four years being estimated at 57.5 per cent. The BMW X3 xDrive20d (57 per cent) likewise represents the best investment in its class. Matching it in value retention is the MINI Cooper S Countryman ALL4, which repeats its success of last year. In the small car category, the MINI One boasts the most stable value in the German market at 56.5 per cent. Beyond this, BMW and MINI models from the current range have made it into the top three in four more vehicle segments. The MINI Cooper Roadster, for example, is runner-up in its class with a particularly high residual value of 59.5 per cent. See the press release Outstanding value retention: three MINIs and a BMW are among the latest “Residual Value Champions”. This entry was posted in ads collectibles and tagged MINI Coupé MINI Roadster on May 4, 2012 by James Day. Last month we featured a MINI Coupe and MINI Roadster flip print ad. Today we have a second flip ad as part of a double ad found on pages 11 and 12 of the May 2012 issue of Esquire. Shown above is the front-side tri-fold ad. On the back of this ad is the second MINI Coupe and MINI Roadster flip print ad, as shown below. HIGH PROFILE. / LOW PROFILE. The MINI Cooper S Coupe and new MINI Cooper S Roadster. Separated at birth by a convertible top. Both with two seats and seductive looks. Both with a six-speed, 181 horsepower, turbo-charged engine. Both with a rear spoiler that automatically lifts at 50 MPH for better downforce. One with a hard top, the other one soft. THE MINI COUPE AND NEW MINI ROADSTER. HOLD ON. The Spring MINI Coupe and MINI Roadster print ad campaign isn’t over yet. We’ll have a set soon that you’ll want to pick up, even if you don’t collect MINI print ads. This entry was posted in brochures collectibles and tagged accessories JCW MINI Coupé MINI Roadster on April 28, 2012 by James Day. KEEP IT MINI. / KEEP IT WILD. The first MINI Accessories catalog has been released for the MINI Coupe and MINI Roadster. The 16 page flip brochure is filled with 11 pages of MINI accessories and 5 pages of John Cooper Works Tuning accessories. Some accessories specifically for the MINI Coupe and MINI Roadster are the sports-style car cover, fitted luggage compartment mat, seat belt holder, and the fixed John Cooper Works rear spoiler. The JCW rear spoiler is listed at $976.00. The MINI USA catalog number is MMA-R58R59. This entry was posted in ads collectibles and tagged MINI Coupé MINI Roadster on April 1, 2012 by James Day. TOP SPEED. / TOP DOWN. MINI USA has produced MINI Coupe print ads and more recently MINI Roadster ads. Here we have a combined flip ad featuring the MINI Cooper S Coupe and an upside-down MINI Cooper S Roadster, both in Lightning Blue. This print ad can be found on page 4 of the May 2012 issue of Car and Driver.